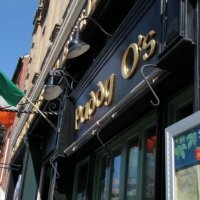 Paddy O’s, an Irish sports bar, opened its doors in 2005 and has been home to many Boston championship parties! The pub boasts an Irish feel. From the hand-crafted bar to the authentic Irish furniture, this pub breathes "one hundred thousand welcomes" from the moment you step through the door. "Nobody knows how to enjoy themselves like the Irish" quips John Joe Somers, the driving force behind this bar's creation. John Joe is proud to be from a nation renowned for spreading fun and good times throughout the world and states that he is "doing his bit for the true Irish heritage and sports". 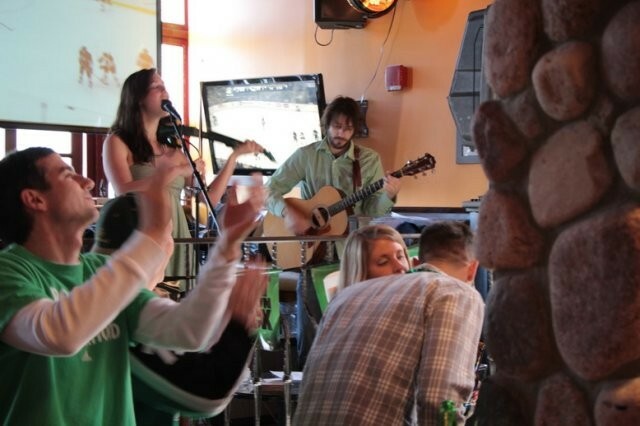 The Pub has all the traits of a good Irish local, complete with cozy snugs, natural stone pillars and a full stage which will cater to everything from traditional Irish sessions through to Boston's hottest rock bands. Discreetly tucked away but always on hand are two 100" drop down screens, often drawing in a swarm of sports fanatics with its larger-than-life view of both national and international games. The big screen is hard to miss, but just in case, smaller TVs are scattered throughout the pub, ensuring a great view for everyone. Lining the ceiling is an ever-growing collection of sports flags, representing teams across the nation. 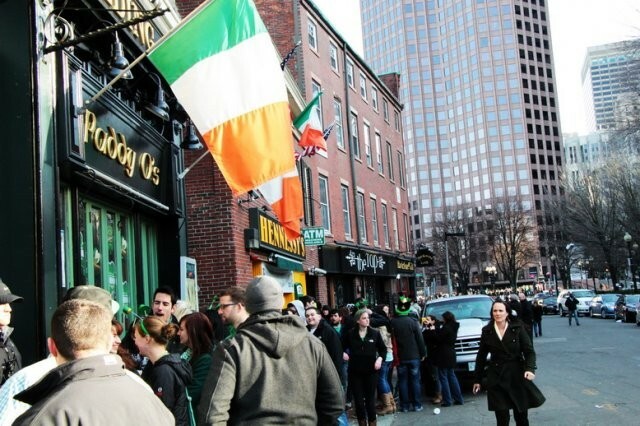 Located just outside of TD Banknorth Garden, Paddy O’s serves as an ideal tailgate spot, the next best thing to stadium seats, and the perfect place to celebrate over drinks and a bite. At night, Paddy O’s transforms into a lively club scene with a fully equipped DJ booth, state of the art sound system and an open dance floor. Some nights the stage hosts a variety of musical talents, while other times it is sectioned off for VIP groups. 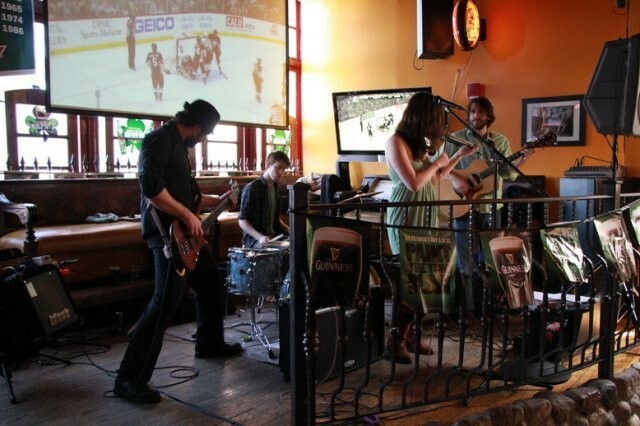 Our space is great for private parties of all measures or just a cozy place to grab a pint and some grub! Paddy O's dishes up crazy big burgers and fire-starter wings with daily beer and food specials. 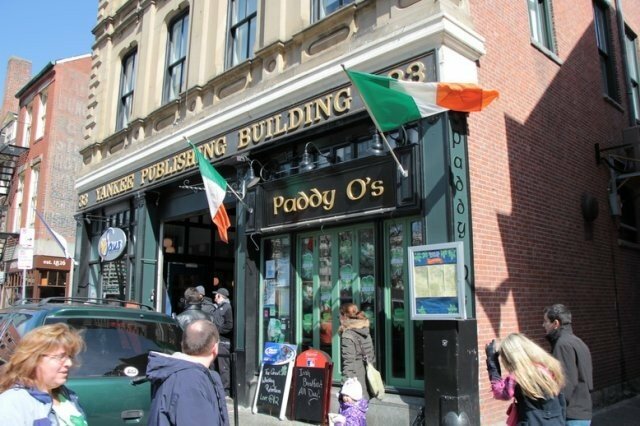 So, whatever your pleasure and whatever your measure, drop into Paddy O's any night of the week at 33 Union Street in the Faneuil Hall district. You won't leave disappointed!